A workshop in the ‘Universal Histories, Universal Museums’ project funded by the AHRC ‘Care for the Future: Thinking Forward through the Past’ and the LABEX ‘Pasts in the Present’ programmes. Museums are emergent entities – and the evolution of a museum is dependent on a number of factors, including: changes in collecting and disposal practices, redisplays and the legacy of temporary exhibitions. New pedagogical perspectives relating to new questions or ideological trends, either in museology or in the disciplines represented in the collections, are also influential. This workshop will focus on selected case studies to analyse the impact of these changes on methodological issues relating to universal histories and universal museums. In particular, the evolution of the museum will be discussed in relation to the impact of temporary exhibitions and the circulation of knowledge in the public sphere. The workshop will explore how social knowledge practices influence the structuring of institutional knowledge, and the emergence of new disciplines. The case studies that we will use to trace this evolution over time are the 1876 Loan Collection of Scientific Apparatus at the South Kensington Museum and the creation of the Musée d’Ethnographie du Trocadéro. 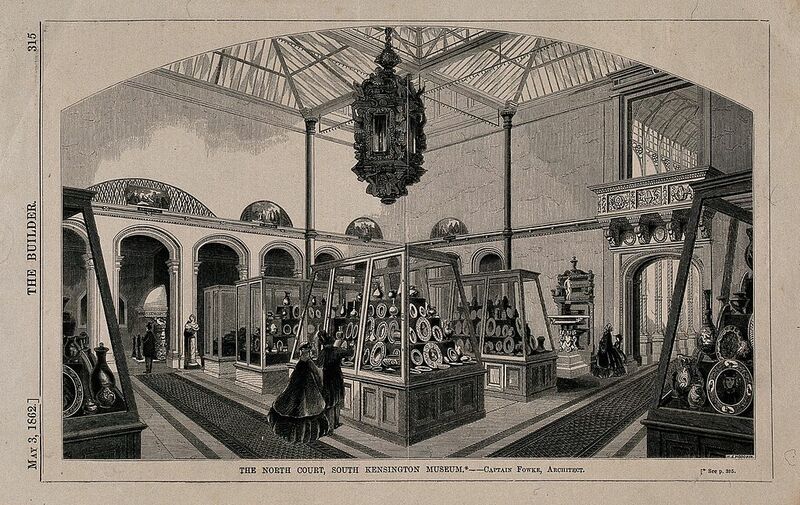 The 1876 Loan Exhibition is a temporary exhibition which took place in 1876 at the South Kensington Museum and was one of the founding displays which led to the creation of the Science Museum. This exhibition offers an ideal case study for the ways in which temporary displays have a permanent legacy in national and international museum collections, and how far the interpretation and presentation of materials was transformed in this process. The Musée d’Ethnographie du Trocadéro opened in 1882 following the 1878 International Exhibition, for which the Trocadéro palace had been built. Though many studies have focused on the successive transformations of this museum in the Musée de l’Homme and, successively, the Musée du Quai Branly and the MUCEM, the first assemblage and display of these ethnographic collections is less well known. Drawing on the place given to the arts, the regions, and different themes in universal exhibitions in Paris, and particularly in the 1878 exhibition, the discussion of the Musée d’Ethnographie will cast new light on the motivations and relationships of collectors, learned societies, politicians, and publics in informing the creation of this museum. History and/or comparison of the science and art collections in the South Kensington Museum, and the foundation of the Science Museum. The impact of temporary exhibitions and universal exhibitions on the creation and development of museum collections. Deadline for both abstracts: 30th April 2017. Send abstracts to: [email protected]. Authors will be notified by the 12th May. Note that we will aim to publish the workshops of the ‘Universal Histories, Universal Museums’ research project as a journal special issue.